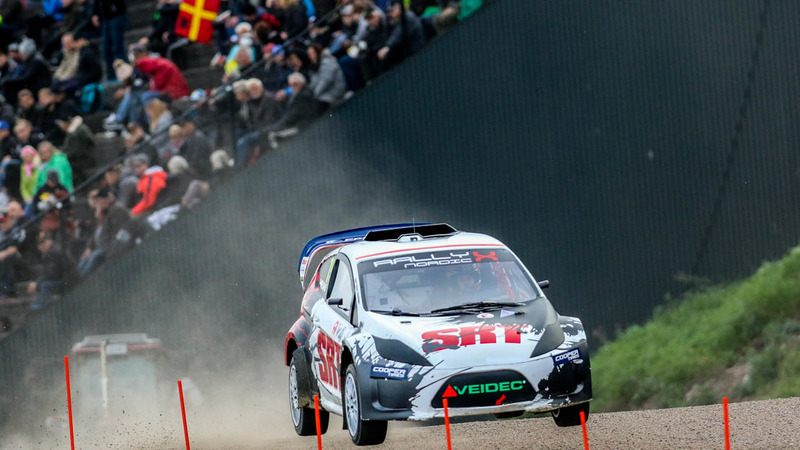 Newly-crowned European Rallycross Champion for Supercars Reinis Nitiss wasted no time in asserting himself on the Supercar Lites field as he scored a top five finish in Q1. 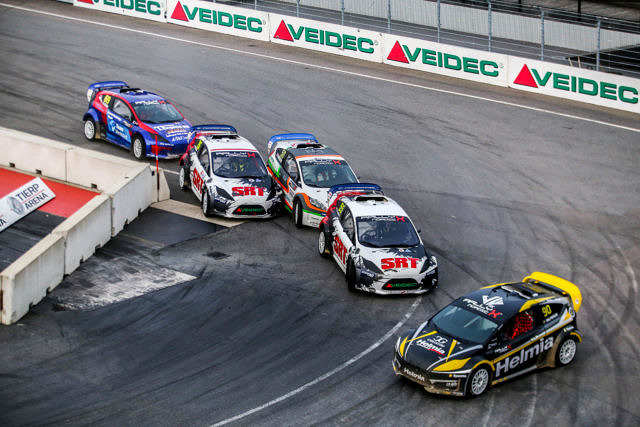 Fresh from his crowning glory on the European stage, Nitiss – a race winner at World RX level – is trying his hand at the Supercar Lites class with SRT for this weekend’s RallyX Nordic finale at the Tierp Arena. Taking no time to adjust to the RallyX Nordic or the all-new track itself, Nitiss was fastest in free practice one before finishing second to team-mate Vasiliy Gryazin in the first race of Q1. This would translate to fourth overall on the timesheets. Reflecting on an impressive 24-strong field this weekend, one which includes World RX driver Kevin Eriksson and European RX racer CsuCsu, Nitiss has high hopes of success but insists his primary aim is to support his countrymen.